Born in Yurevets, Kostroma province 1912. Studied at Yaroslavl Art Tekhnikum 1930-33; Institute of Painting, Sculpture and Architecture / Repin Institute 1937-47. Active in Irkutsk and Kostroma. 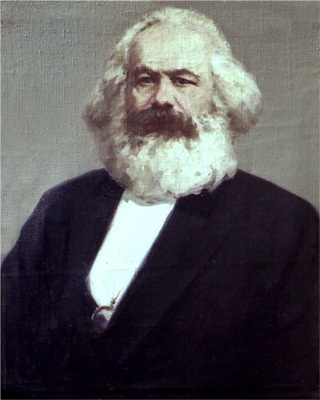 "Karl Marx", oil on canvas, 76 x 63 cm.